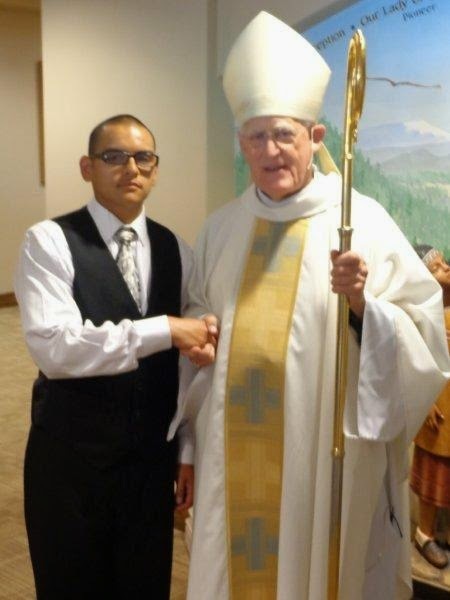 Bishop Emeritus William K. Weigand, from the Diocese of Sacramento, conferred the sacrament of Confirmation on 16 youth May 18, 2014 at St. Katharine Drexel Church in Martell, CA. 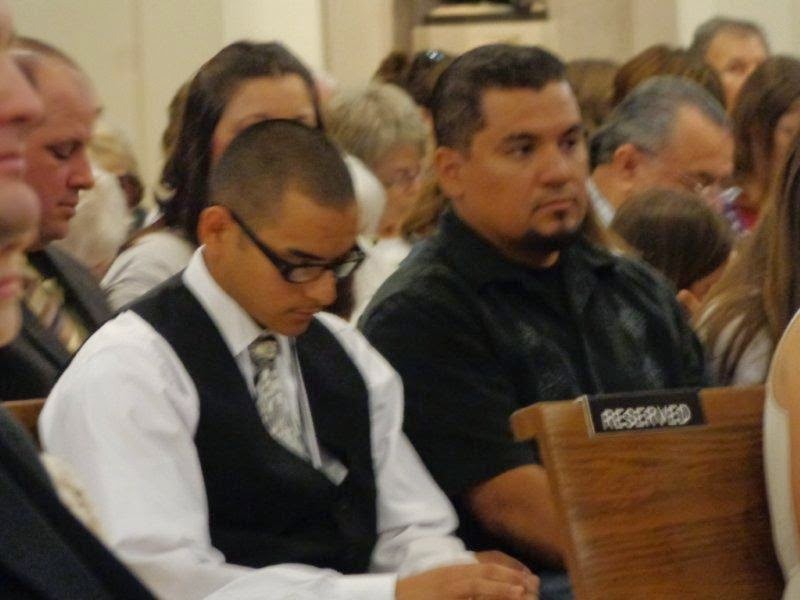 One young man receiving his confirmation was Hector Romero from the Pine Grove Conservation Camp. 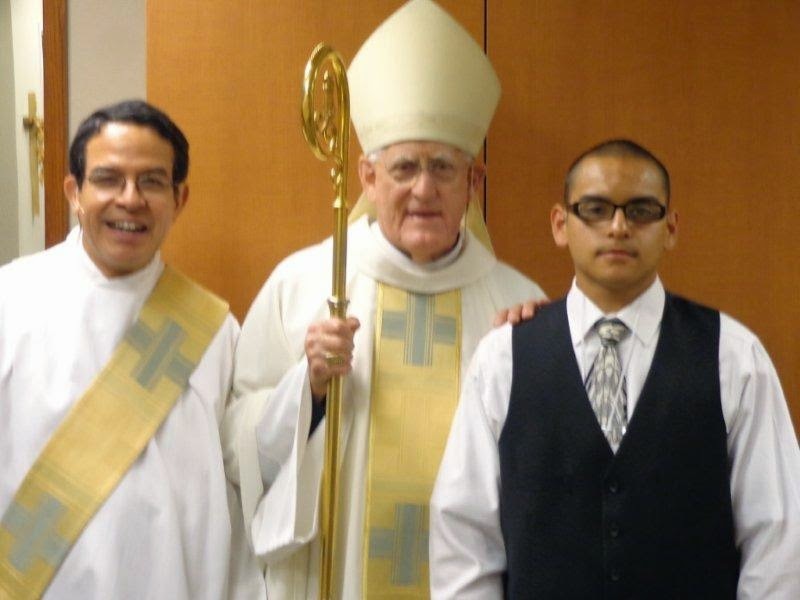 Throughout the year, he prepared by attending weekly faith sessions at their local parish, participating in works of service, meeting with their sponsors for spiritual guidance and support and worshiping weekly. Deacon Jaime Garcia facilitated these sessions with Hector at Pine Grove Camp and Hector’s uncle participated as his sponsor. Hector was also supported by his mother, father, grandmother, aunts, uncles, and friends at the ceremony; many of whom traveled from Southern California. It is great to be back among you after my tour of western Turkey in May. Thank you for your prayers while I was gone. In Ephesus, at the house of St. Mary, I lit a special candle for all the people of Trinity Church and collected some water from the fountain for future baptisms. I had a profound sense of the holy in that place. While in Turkey, I realized how parochial I am as an American. I was ignorant of the cultural, historical, and political climate of this country that was once at the center of civilization. It reminds me of how much I need the Spirit of Truth, the Holy Spirit, who leads us into all truth and enables us to grow in the likeness of Christ. Turkey is one of the few predominantly Islamic countries that is a democracy and strives to be progressive and open. Unfortunately, this democracy is in peril because of two forces: The rise in fundamentalism and the current political leaders who are authoritarian, greedy, and manipulative. I will be showing a slide show of our adventures (see details below) and invite you to come to my home. Please let me know if you can come. If you can't make it on that evening, I would be willing to show it another time. Speaking of the Spirit of Truth, we will celebrate Pentecost this coming Sunday. It is the birthday of the Christian Church and Episcopalians typically wear red on that day. There are a lot of "spirits" out there grabbing our attention. How do we recognize the presence of the Holy Spirit in our lives? The Prayer Book says it well: "We recognize the presence of the Holy Spirit when we confess Jesus Christ as Lord and are brought into love and harmony with God, with ourselves, with our neighbors, and with all creation." I am praying for this Spirit of Truth, love, and harmony to fill the lives of those who are about to be baptized and confirmed on June 15th when Bishop Barry comes to Trinity for a visit. Please pray for them too: Lou Narito, Shannan Yount, Jean Suggs, Steve Lewis, Rhonda D"Agostini, Alexis Lewis, and Steve Russell. Last week, I attended the annual clergy conference of the clergy of our diocese. The focus was on social media and utilizing this tool to reach people outside the church community. Bottom Line: If we want to reach folks under the age of 50, we need to learn and use those communication tools that they are using such as web, Facebook, twitter, and other social media. If you are able to help us expand our communication efforts or are willing to make videos and take pictures for our web site and Facebook page, please let me or someone on the vestry know. In May, the missio:engage team met with the 'higher ups' from the national church. 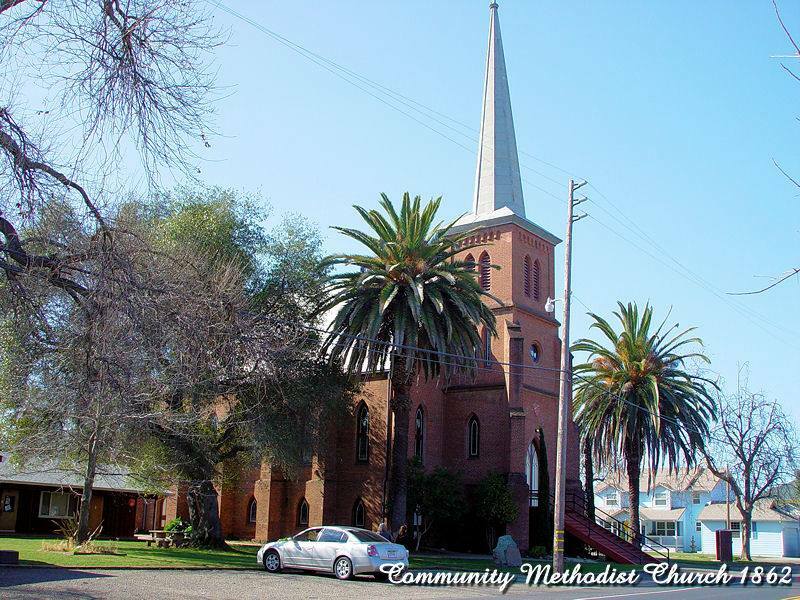 We shared our story of successes and challenges at Trinity and our efforts to reach out into the Amador County with the good news. For this team of enthusiastic "missionaries," I give thanks: Ken, Carol, Steph, Dave, Janet, Nancy, Joy, Martha, and Noreen. Please join us as we work to ensure that Trinity Church thrives into the next generation. Sat. June 28th at 3:00pm: A memorial service at Trinity for Mother Mary Kriletich, mother of MaryAnn Lester and Roy Kriletich. A reception follows the service. Come and celebrate her 91 years of life. Thursday, July 3rd at 8pm and 9:15pm: At 8pm, you are invited to the rectory for a slide show of the rector's visit to Turkey. Turkish tea will be available. Then at 9:15, come and see the Jackson fireworks from the balcony...a fabulous view! Come to one or come to both. Please RSVP at 257-1996 and leave a message. If you like, bring a favorite chair for the fireworks. Betty Brandson is now home. Lys Marr has moved to the Atria, 2426 Garfield Ave, Carmichael. 916-999-1761. Please continue to pray for their recovery, send them a card, or offer to visit. I'm finding day by day that the Trinity Community is made up of wonderful, caring individuals. We have had several friends struggle with challenging health issues lately, and I know so many of you have stepped up and offered help. Knowing that prayers are being said daily, cards are being sent, and visits are being made, make such a difference. Hopefully all of you received the lovely Health Ministry brochure and our bookmarks. They were created by Barbara Wells, the Public Relations Chair on our team. Keep that brochure handy, and if you or a family member need assistance, please don't hesitate to call any member of the Team. I can certainly coordinate services, but others are ready to respond to a specific need as well. I hope you have also noticed the Community Resource display in Jane's Hall. We promise to keep that updated and to add other resources as we become acquainted with them. 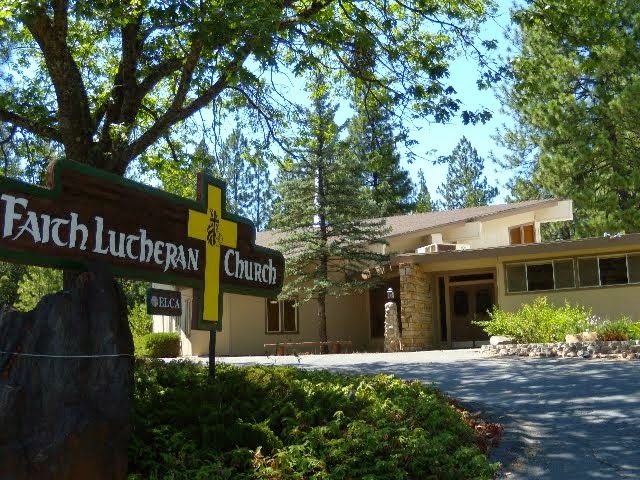 Joan Von der Heiden has volunteered to attend the Amador County Commission on Aging meetings, and I will continue to connect with Behavioral Health Services. The one team that we do need to expand is our Friendly Visitor team led by Sally Friel. We have members that may just need a visitor for a few weeks after an illness or while in the midst of a life crisis, and we have others that are elderly or disabled and just need a regular visit from a Trinity Friend. Sally is more than willing to meet with anyone that is interested in helping in this ministry. She will give you some tips on how to make the visit a rewarding one and also offer you support on an on-going basis. If you are interested in being a part of this team, please give Sally a call (209 -274- 6764) or catch one of us at Coffee Hour. She would love to add you to our list! As most of you know, the round tables in Jane's Hall have been replaced with smaller and lighter rectangular tables. These have been provided by the Misseo-Engage Team. The round table now need new homes and are available for members and friends of the congregation. Donations would be appreciated. The following members of our church family are celebrating birthdays in June! Eugene Alliende, local psychotherapist and meditation teacher in Jackson. His topic was "Living Nonduality" and included an analysis of evolving consciousness, lively discussion, and meditation experiences. Twenty people actively participated in the Sunday workshop. This is Eugene's fourth annual workshop at SWOW. Saturdays workshop with Rev. Patsy taught the basics for an effective, sustainable meditation practice. We are now gearing up for our Summer Weekend Workshop to be held Saturday and Sunday August 16 - 17. The theme is "Our Cosmic Connection". Marilyn Nutter plans to host Saturday's workshop with a look at A NEW COSMOLOGY in the morning session and its impact on PLANETARY ONENESS in the afternoon session. Sunday's plans are still gelling, but get ready for a tune-up to the incoming energies. Circle the dates on your calendar and plan some fun in the sun at our Cosmic Party. In the planning stages, the Fall workshop on the weekend of October 18-19 will focus on the "Healing Arts" and feature a return of the fabulous Amel Tafsout with Healing Dance. See the flyer below for a glimpse of the quality of dance we are talking about. Amel will be back from her European tour in July and will resume her weekly classes. June 22 at 10am with a combined Meditation and Wisdom Circle. Rev. Tracy Johnson, who serves as the celebrant for our seasonal festivals, inspires us with joyful meditations and contemplative activities to light the fire of our souls. Rev. Patsy will also bless attendees with a special Summer Solstice Attunement. Being a writer is an amazing freedom. Being a writer lets my voice be heard. Being a writer gives me a reason to get up tomorrow and remember yesterday. To express that which lies within. To connect with other people in a very real and often vulnerable way. To say, yes! I did it and it is mine. To be able to play with words and make myself and hopefully others laugh. To discover the adventure in my soul. To write is to allow words to flow forth from both conscious and unconscious mind into a pool of great depth. The fisher's hook dips into the water tossing the catch from pool to frying pan. Bold flavors blend - dinner is served. We are going to continue the focus on Oneness Consciousness that Eugene talked about last Sunday - A great introduction to this month's theme. This month's Wisdom Circle sharing will focus on discovering processes for developing a oneness or non-dual consciousness. Next Sunday we'll look at development aimed at the self, then on the 15th, let's examine group development, and finally on the 29th (the 22 is the Summer Solstice Celebration), humanity will be the focus of our inquiry. Join us when you can. Also, remember that we also have the ongoing study group, A Course in Miracles,on Tuesday at 7pm, hosted by Shari Anderson. And Yours Truly delights in serving the spiritual and holistic healing needs of our community.